Below is a list of some of the special guitars that will be on hand for the Sales Event. The prices listed are just the List and there will be some ONE DAY ONLY pricing on these and others guitars already at the store. So come on down and see some eye popping Wood grain (Scroll down to the bottom of the page to see some guitars from the last Taylor Day in June). Also Zach will also be doing set-ups and restrings on Taylor's if you have one that needs a little TLC, bring it on down and let the master work his mojo. He might even have some FREE Taylor Wear for you... Maybe... if you are good. 714-ce ltd. Koa back and sides, cedar top fall limited edition guitar. GCCE-LTD-B. I should have two of these beauties. Only 50 made total. Brazilian back and sides, Adirondack spruce top, slotted peghead, ¼” modified, scalloped Adirondack bracing (similar to the fall limited edition guitars). These guitars are cannons, packing the sound of a GA in the body of a GC. Amazing value for a Brazilian guitar. Retail $6998. GSCE-LTD-K. GS Koa fall limited with cocobolo binding, cutaway/electronics. See Wood and Steel for specs on the fall limited edition guitars. Retail $4998. GSE-LTD-C. GS Cocobolo fall limited with koa binding, with electronics. Retail $4748. Custom GS. AA grade walnut back and sides, sinker redwood top. Retail $7046. Nut Width: 1-3/4", 3-piece back, 900 Series f/b inlay, 900 Series pg inlay, 900 Series bridge inlay, Rosette: Abalone, Green Heart Single Ring Bound Soundhole, Nut/Saddle: Bone, Pickguard: Clear, Headstock Overlay: Ebony, Truss Rod Cover: Ebony, Ebony with Ab Dots bridge pins, Expression System, Top Finish: Gloss, Back/Sides Finish: Gloss, Neck Finish: Gloss, Peghead Finish: Gloss, Tuners: Gotoh 510 Antique Gold, Koa Binding (Body, Fretboard, Peghead), Mahogany Neck, Bound Peghead, Scale Length: Standard 25-1/2", Strap Pin, Venetian cutaway. GS Custom Cocobolo back and sides, Adirondack top. Retail $5906. If you have any questions please give a call to our Waldorf store at 301-843-2799. 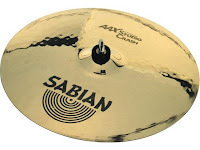 Special pricing all day on Sabian products. Hot Licks Guitar Shop P.F.